NHS RightCare last week launched the Cardiovascular Disease Prevention Optimal Value Pathway. This major new resource for CCGs will support clinicians and commissioners to recognise and harvest low hanging fruit for prevention, while helping to address both the wellbeing and the quality gaps in the NHS. The Five Year Forward View has called for a radical upgrade in prevention because the relentless rise in preventable illness threatens the sustainability of the NHS. Much of this, of course, is driven by the epidemic of obesity, poor diet, inactivity and other risk factors that come with the 21st century lifestyle. It is estimated that around two thirds of premature deaths – that is deaths before the age of 75 – could be prevented by tackling these major risk factors. And a quarter of premature deaths are caused by cardiovascular disease (CVD). Of course, improving health is about much more than healthcare. There is no doubt that population-level interventions have the biggest impact – interventions such as tobacco control, salt and sugar reduction in foods to place-based action that makes it easier for people to lead healthy lives. But the NHS also has a substantial contribution to make, particularly in primary care where behavioural and physiological risks to health are highly visible. When we talk of prevention in the NHS, we tend to think first of behaviour change support. With one million daily consultations across primary care, health professionals have multiple opportunities to highlight lifestyle risk factors and provide brief interventions. However, we often lack the time and sometimes the skills to deliver such preventive care in general practice. There are new opportunities to do that better, and the growth of social prescribing and wellbeing hubs, partnered with GP practices, may well make us more effective in this primary prevention role. But the low hanging fruit for prevention in the NHS lies in the early detection and improved management of the high risk conditions; conditions where late diagnosis and sub-optimal treatment are common. Why is this low hanging fruit? CVD affects around six million people in England. After cancer it is the leading cause of disability and it accounts for a quarter of all premature deaths. In addition to the individual trauma of a loved-one’s sudden death, people who survive heart attacks and strokes often find that their lives are dramatically changed, and their quality of life much reduced. The financial impact is not restricted to the NHS, with local authorities often picking up substantial costs for care and rehabilitation over many years. Hypertension: although high blood pressure is implicated in half of all strokes and heart attacks, and although treatment is very effective (every 10mmHg drop in blood pressure reduces the risk of these events by 20 per cent), still four out of ten people with hypertension – that’s 25,000 people in the average CCG – remain undiagnosed. And even when the diagnosis is made, around four out of ten do not reach treatment targets. Atrial Fibrillation: People with AF are five times more likely to have a stroke – but treatment with anticoagulation is strikingly successful, preventing two thirds of these strokes. Despite this, around 30 per cent of people with AF are undiagnosed, and even when the diagnosis is made, many do not receive anticoagulation. Indeed, amongst those with a confirmed diagnosis of AF who go on to suffer a stroke, only one third have been treated with anticoagulants. High cholesterol: having raised cholesterol increases the risk of heart attack and stroke. At the same time, treatment with statins in those at high risk is very effective (every 1mmol/l fall in cholesterol reduces risk of heart attack and stroke by a quarter every year). Despite this, less than half of people with a raised cholesterol and high cardiovascular risk are treated with statins. Secondary prevention through detection and management of these high risk conditions is core primary care – but it is often not easy. Checking the pulse or blood pressure, or counselling a patient about statins may well be clinical priorities for us as GPs. But in the high pressure world of general practice, they are often trumped by several other priorities that patients bring to each consultation. Improving detection and management of these high risk conditions is not going to be delivered by GPs working harder or making the guidance more explicit. It is going to be delivered by doing things differently, with new models for diagnosis and treatment that enhance routine primary care. There are many examples of such new models in action around the country, such as, practice based pharmacists in Dudley improving blood pressure management; community pharmacists managing blood pressure, anticoagulant and cholesterol control in South London; telehealth supporting blood pressure self-management in Stoke on Trent; the roll out of technologies such as AliveCor to improve detection of AF in Enfield and West Hampshire; and global changes to blood pressure and cholesterol treatments across a whole CCG in Bradford. The RightCare CVD Prevention Pathway will help CCGs to identify local opportunities for improvement in the prevention of CVD. The new optimal value pathway includes the six high risk CVD conditions where early detection and optimal management can significantly improve outcomes and which are managed almost entirely in primary care. The pathway is accompanied by metrics that show performance in diagnosis and treatment, with benchmarking of each CCG against demographically similar CCGs, and benchmarking of the local practices. This allows clinicians and commissioners to identify unwarranted variation and to spotlight opportunity for improvement. High impact interventions are also described, with links to evidence, case studies and exemplars from around the country. How will NHS RightCare support this improvement? NHS England is investing in NHS RightCare to enable every health economy in England to embed the NHS RightCare Approach at the heart of their transformation programmes through a two-stage national introduction, touching all local health economies by the end of 2016. NHS RightCare is a programme committed to reducing unwarranted variation to improve people’s health and outcomes. It ensures that the right person has the right care, in the right place, at the right time, making the best use of available resources. The programme is working nationally and at local health economy level through a team of RightCare Delivery Partners to implement the approach. A key aspect of the approach is development of Optimal Value Pathways, CVD being the first pathway launched. Ensure systematic collection and analysis of real time audit data from practices using tools such as GRASP, national audits and other local data solutions. Build local primary care leadership to challenge unwarranted variation and drive quality improvement in high risk conditions. Maximise NHS Health Check uptake and follow up as a systematic approach to detecting undiagnosed high risk CVD conditions. Commission new models of diagnosis and management of the high risk CVD conditions. Early detection and improved management of these high risk conditions has the potential to prevent large numbers of heart attacks and strokes and premature deaths, with relatively short-term return on investment for the health and social care system. The RightCare CVD Prevention pathway offers a systematic approach to harvesting this low hanging fruit for prevention in CCGs, while helping to address both the wellbeing gap and the quality gap in the NHS. For a great example of how applying the RightCare approach to CVD pathways can develop improved outcomes, see Bradford City CCG and Bradford & District CCG’s Healthy Hearts programme. Matt Kearney is NHS England’s National Clinical Director for Cardiovascular Disease Prevention and a GP in Runcorn. He has been working for both NHS England and Public Health England since 2013, supporting programmes to improve primary and secondary prevention of cardiovascular disease and diabetes. 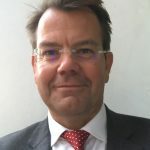 In particular, he has focused on building primary care leadership to champion earlier detection and improved management of conditions such as hypertension, atrial fibrillation, type 2 diabetes and raised cholesterol, and in exploring ways in which the third sector, local authorities and other partners can help the NHS to get serious about prevention. Previously Matt worked as clinical and public health advisor to the Department of Health respiratory programme, and was a member of the NICE Public Health Interventions Advisory Committee from 2005 to 2013. Miles Freeman has worked as a manager in the NHS since 2001 following a career in social services focused on children’s services and joint planning. 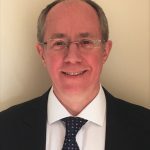 Prior to joining RightCare on secondment he has been both a Director of Primary Care and Commissioning for Hammersmith and Fulham PCT, a Director of Acute Commissioning and Performance across 3 PCTs and a CCG Chief Officer in Surrey. He holds an MSc in Healthcare Commissioning from Birmingham University. Miles believes that system transformation should be based on comprehensive, high quality pro-active primary care. To achieve that requires leadership, investment, a focus on quality and a commitment to address unwarranted variation.